Cosatu wants Finance Minister Tito Mboweni to take his own advice and retire. Why nonfiction books are dominating South Africa's bestseller lists. How pivotal is it for a business to be insured if it is only making between R50 000 and R80 000 per year? Which risks could you encounter that would need insurance if you are working from home and have no premises to worry about? 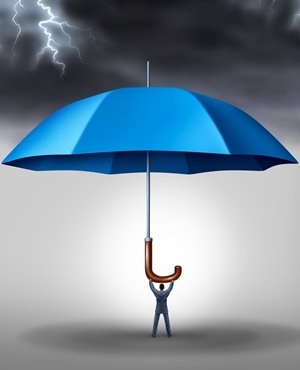 Whilst the company revenue may be small, the answer to the question of whether such a business would need insurance depends on whether the owner is able to self-insure (which is to pay out of his or her own pocket for any loss that may occur). It would also depend on which risks he or she may encounter that would need insurance if, for example, you are working from home and have no business premises to worry about. For businesses, the risks are many and often specific to the type of business being run from home. - Vehicle damage (including car hire while you wait for repairs to be done). Always remember that products or services are always at risk in terms of liability and that every business owner should consider cover in the event of third-party claims. An owner of a business must be aware that some personal (home insurance) policies exclude cover for business activities and should consider cover that suits his or her insurance needs. At Santam, we recommend business owners speak to a broker to ensure that his or her business is covered should an unforeseen event occur. Disclaimer: Fin24 cannot be held liable for any investment decisions made based on the advice given by independent financial service providers. Under the ECT Act and to the fullest extent possible under the applicable law, Fin24 disclaims all responsibility or liability for any damages whatsoever resulting from the use of this site in any manner.